Verizon announced via Twitter this afternoon that the Moto X will officially arrive online, August 29, for $199 on-contract. Yes, that would be this Thursday. The device will then arrive in stores over the coming weeks. We’ve reported this as the current target date a handful of times now, so we’re glad to finally have it set in stone. As most of you already know, the Moto X will be available in both black and white models (woven design on the back), with MotoMaker customization coming further down the road. AT&T currently has the off-contract or full retail price set at $579 for the 16GB version – I’d imagine that Verizon will match that price point. AT&T currently has an exclusive deal on the 32GB version as far as we know, so you may only see the 16GB version on Verizon for the next couple of months. If more storage interests you, as does an unlockable bootloader, be on the lookout for a Verizon developer edition that could arrive within a matter of days. 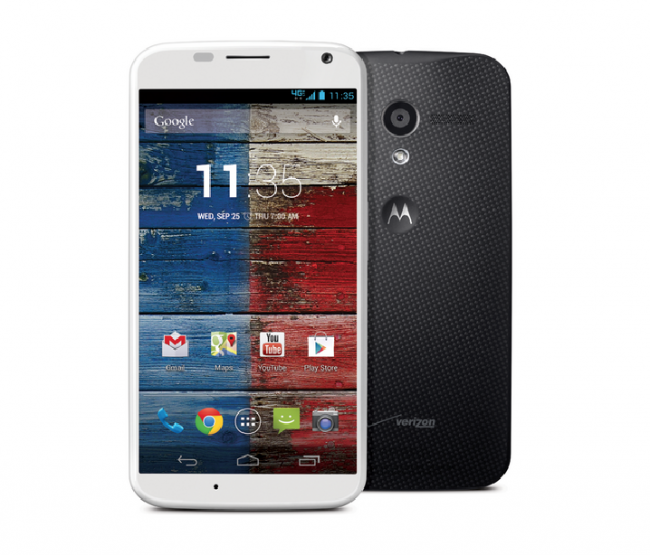 Be sure to read out Moto X review of the Verizon variant if you haven’t already.